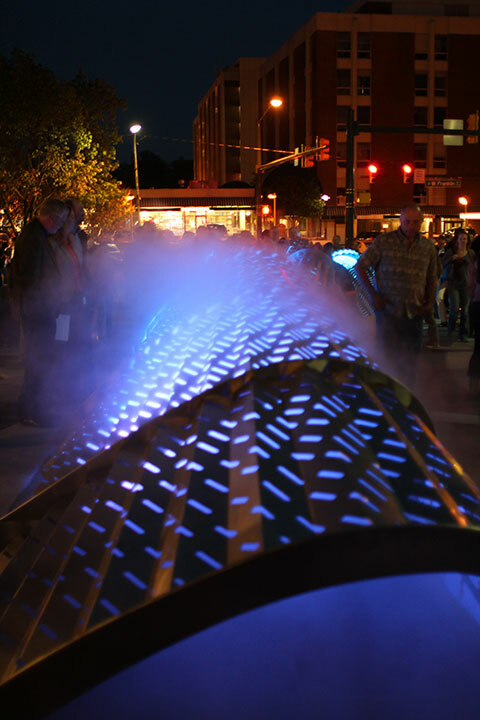 Chapel Hill is one of the most expensive cities in the greater Durham area. Moving is already an expensive endeavor and you don’t want to end up spending more than you have to. To help, we have compiled a rundown to 3 different methods of moving locally within Chapel Hill in order to make sure you get a good deal. And if you don’t already live in North Carolina, read our Moving to Chapel Hill guide and use our moving expense estimator to budget your long distance move. So, without further ado, let’s start exploring to cost of moving in Chapel Hill. Your priciest option for moving is going to be hiring a company, but it will definitely require you to lift the least amount of things. 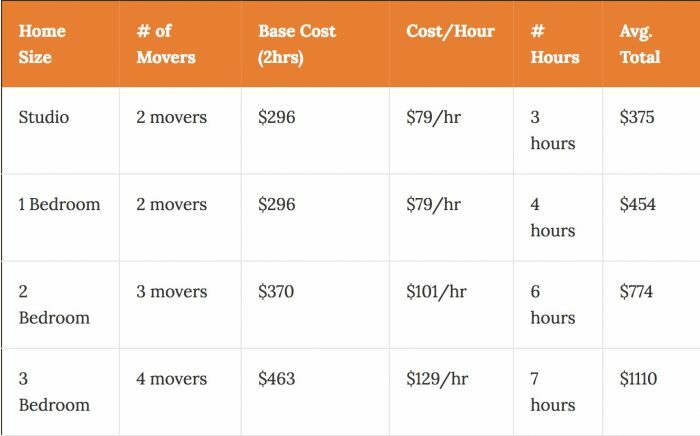 This table below shows you the breakdown in pricing for an average moving company in Chapel Hill. Keep in mind that these are just average estimates. Your total cost will fluctuate based on what and where you’re moving. Plan to pay extra if your movers have to lug an antique armoire up seven flights of stairs or walk 500 feet from the street to your front door. It’s a good idea to make sure you get a copy of your mover’s insurance before the move to ensure there aren’t any holdups due to your movers not having their insurance card with them on-site. Also, don’t forget, Chapel Hill is surrounded by colleges. Be mindful of semester start and end dates and try to avoid these peak times. And if you don’t want to pay the big bucks to hire a moving company, you can always go the truck rental route. You (and a few extremely loyal friends) will have to do the heavy-lifting, but if you want to save some money you’ll probably want to rent a moving truck. Moving from a 1 bedroom apartment should wind up costing you somewhere around $26 – $48 to rent a truck. Now, a larger place of, say, 5 or more bedrooms will definitely cost more to move. 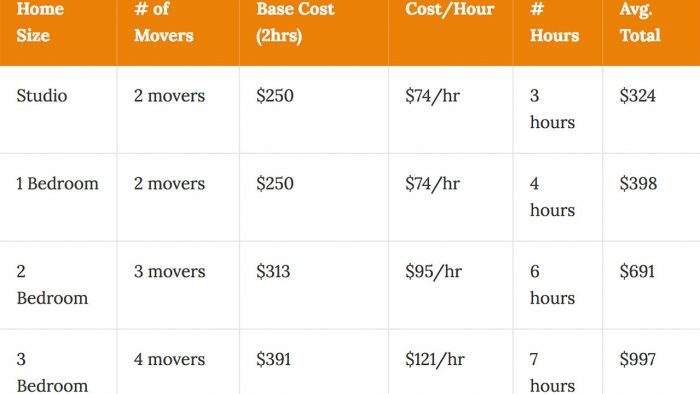 Look to spend something like $98 – $145 on moving truck rental. If it still doesn’t sound like a moving truck will do the trick, you can always give moving containers a shot. 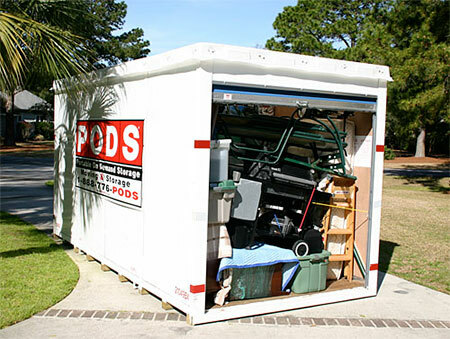 More or less, moving containers serve the same purpose of storage units, but you can haul them around. It’s pretty simple. The units get dropped off at your current place, you fill them up, and the company picks them up and puts them in storage until your new home is ready to move in. The upside here is the potential for long-term storage. They’re a particularly good solution for gaps between new and old leases. 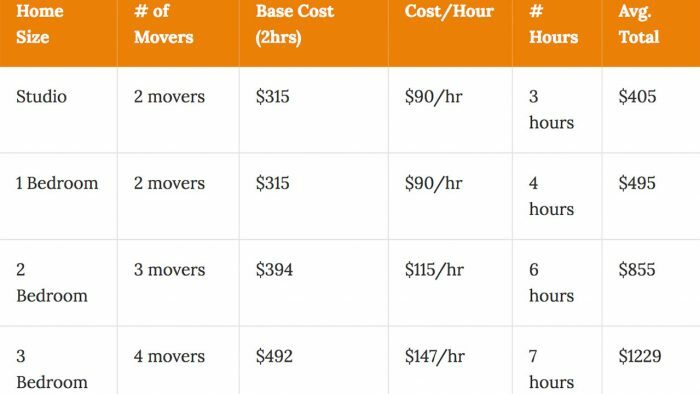 If you’re looking to store and move a typical 3-bedroom apartment for a month, expect to pay $175 between pickup and delivery, plus any additional labor costs you might incur. And make note of the fact, one container can only hold the contents of about 3 rooms. Each extra container you need will practically double your cost. All good? Now get your Chapel Hill move started!